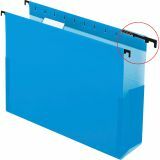 Bottom is reinforced with pressboard insert. 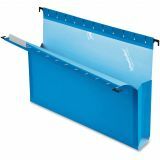 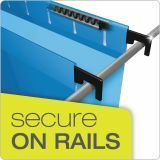 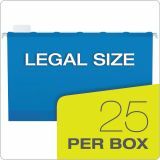 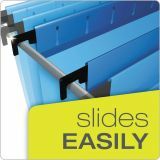 Pendaflex SureHook Extra-Capacity Hanging Box File, Legal, 3" Exp, 1/5 Tab, Blue, 25/Box - Box-bottom file folders have flexible closed sides and polylaminated edges to safeguard contents from slipping out sides. Folders hold small items and bulky projects. 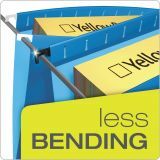 Made of durable, two-tone stock. 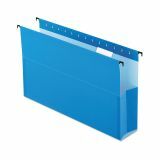 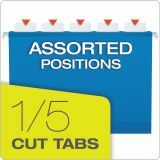 Each folder includes a pressboard reinforcing bottom insert, tabs and blank white inserts.